At ABC Garage Doors, we don't only provide new doors, we also offer preventative maintenance programs. Preventative maintenance programs give you a sense of security, so you can enjoy the summer worry free. Schedule a program suited for your needs by choosing a yearly routine program or a one-time service on your boathouse door. 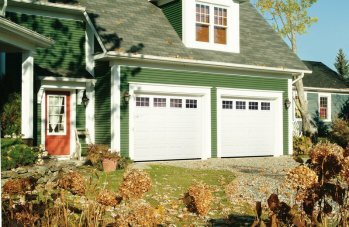 Based on your needs and style, ABC Overhead Garage Doors will supply and install a unique door system customized for your boathouse. Using a stylish and creative design and unique colour choices to enhance your boathouse's architectural features complete with a custom crafted birdnet. Our boathouse doors are durable, reliable and are virtually silent. Speak to our sales representative about available garage door products in steel, aluminum, and custom cedar.